You heard the man! The age-old thinking that fat makes you fat and causes heart disease is absolute rubbish and not backed up by science whatsoever. In fact, the research linking white flour, white sugar and chemical additives to cancer and coronary heart disease is much stronger. Lesson learned: eat real food…you know, the kind your grandmother used to serve before our pantries got filled with the manufactured artificial junk. Explain to me how fat-free margarin made with 30+ ingredients is better for you than butter. You can't, because it isn't. Go ahead, FIGHT ME! We are clearly being fed the WRONG INFORMATION. If you're thinking to yourself, but I never use vegetable oil…think again. It's in everything. Cereal, potato chips, salad dressings, etc. Read, re-read and read again the nutrition labels of what you're feeding your body and the growing bodies of your children. Since going Paleo, I've heard so much about Ghee and have yet to use it! Apparently you can buy it or make your own from butter.“Ghee is rich in the fat soluble vitamins A, D, and K2. It is also rich in CLA (conjugated linoleic acid) — the essential fatty acid found almost exclusively in grass-fed animals which is now believed to protect against cancer, heart disease, and type II diabetes.” (source) My lactose intolerant friends will be happy to know that the milk solids are eliminated from ghee, so it's a casein and lactose-free fat. Just the other day I was relaying a recipe to a client and when I mentioned coconut oil he gasped and said, "coconut oil!? Nicole! that's terrible for you." It should be mentioned that he's a retired doctor and quite…grey, so his nutrition education is a bit dated, if you will. Don't worry, I set him straight. Coconut oil is in fact, very good for you and has been said to aid in weight loss, support heart health, boost metabolism and benefit skin (source). Best used: in baked goods or in savory dishes (e.g. Thai food) where the slight nutty flavor will compliment the taste. Another great heart healthy fat, olive oil contains beneficial antioxidants and has been shown to have anti-inflammatory properties. Be warned: Some companies get away with mixing olive oil with cheap vegetable oils, so look for the "100%" claim and make sure you're getting what you pay for. Palm oil is a great healthy option for high heat cooking. It is made from the palm fruit which is native to africa. There has been a lot of controversy surrounding palm oil because many palm oil plantations have contributed to the decimation of the rainforest. However, you can source responsible and sustainably harvested palm oil. Repeat after me, not all butter is bad. One poorly done research study and the world decides to boycott butter, or use acai berries in absolutely everything. Reign it in folks. In short, our bodies (the brain especially) need dietary cholesterol in order to function properly. So you can all stop freaking out about eggs and butter. Don't believe me? Read up on why butter is a health food here. PS. Buy grassfed. 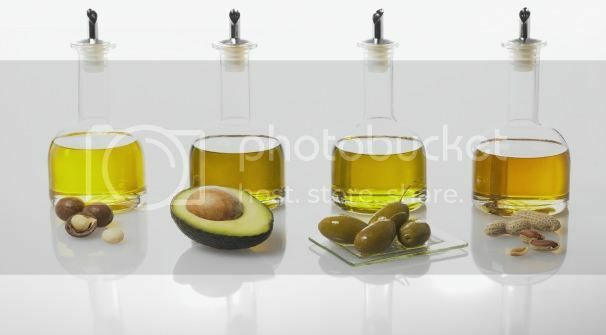 The oils you think are healthy but in fact, aren't: grapeseed oil, canola oil/rapeseed oil, vegetable oil/soybean oil, vegan butter substitutes and corn oil. You can find more information on the 5 worst oils to cook with here. What do you cook with?